The appearance of the Edit article page depends on the Article Type you are working on. Below, the default "news" type is shown. To the left of the Sidebar is the editing area for the article. Name: The title of the article. The number of characters allowed was set when this field was created. 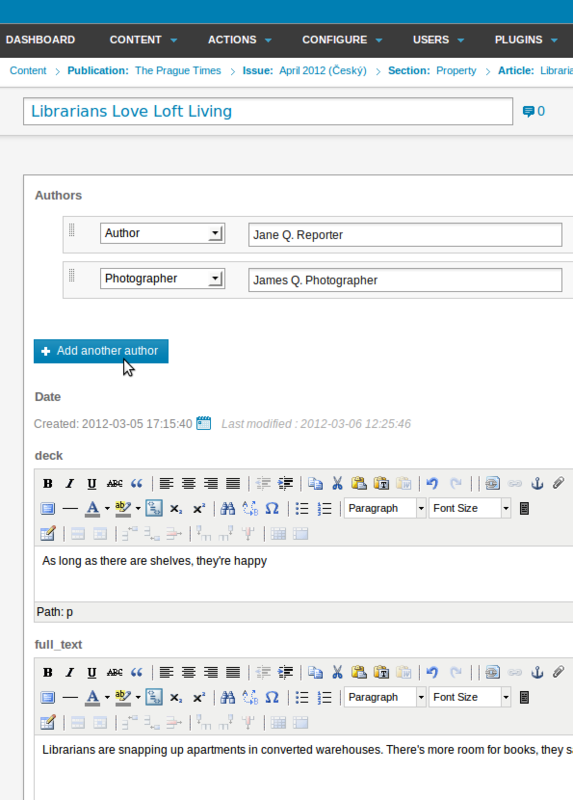 Beneath the editing area, there's a box in which you can enable reader comments on the article, if you wish. Your publication's theme must be designed to enable this feature. 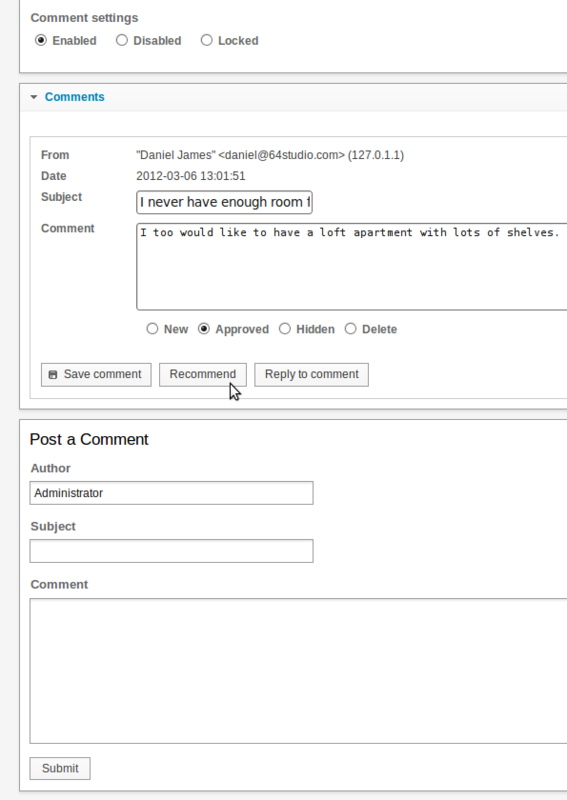 Beneath the displayed comments is a form which staff members of your publication can use to add a new comment of their own.